The Favela Brass Project: Coast to Coast Mardi Gras! 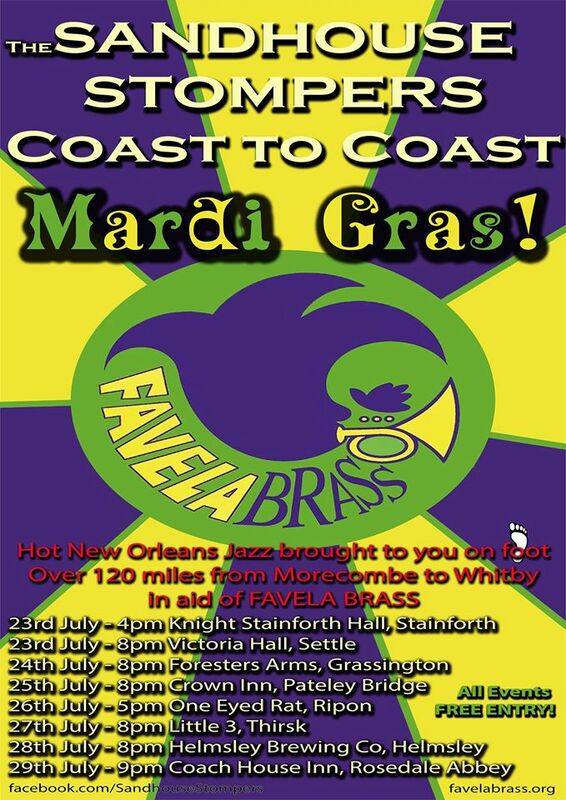 Coast to Coast Mardi Gras! Favela Brass has great friends. During the walk we will be busking, selling T-shirts and inviting cash donations from the public at shows. However we also want to use the event as a way to stimulate our existing network of friends and family, those who already recognise the value and potential of our program, to support us by donating monthly. To make a contribution please use the "donate" button below, checking the "make this donation recurring" box if you want to become a monthly donor. 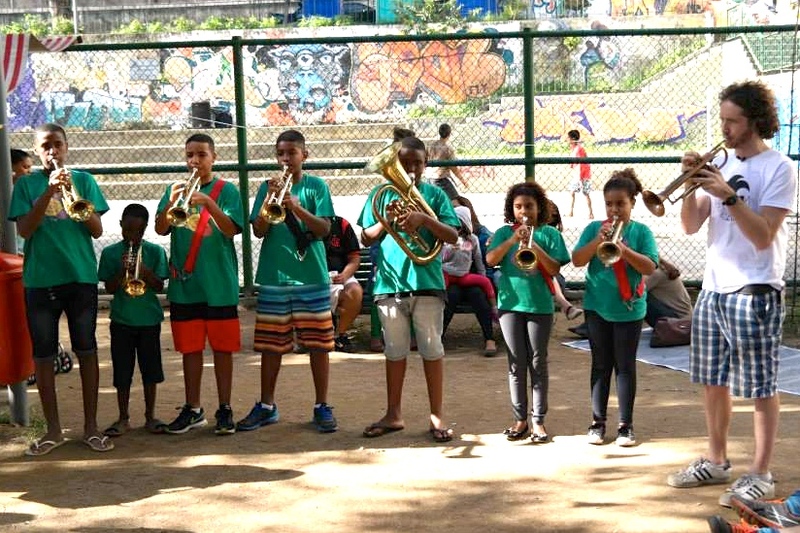 All monthly donors (including our existing donors) who donate £5 or more per month and those who make an individual donation of £15 or more will receive a high quality Favela Brass T-Shirt (once donations are confirmed we will send an e-mail to confirm the size/colour/postal address - we ship worldwide too). 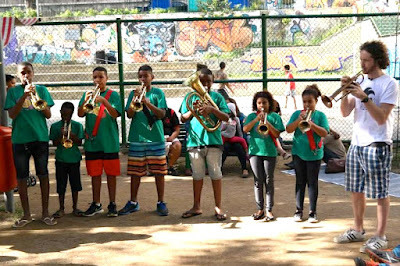 In addition to helping the Favela Brass project financially, the walk is also shaping up to be pretty darn cool musically. Favela Brass seeks to mix the New Orleans brass band tradition with the samba school tradition of Rio de Janeiro and that is going to be reflected in the music on the walk - the band will be playing New Orleans "Second Line" brass band music along with some serious samba drumming grooves as well!